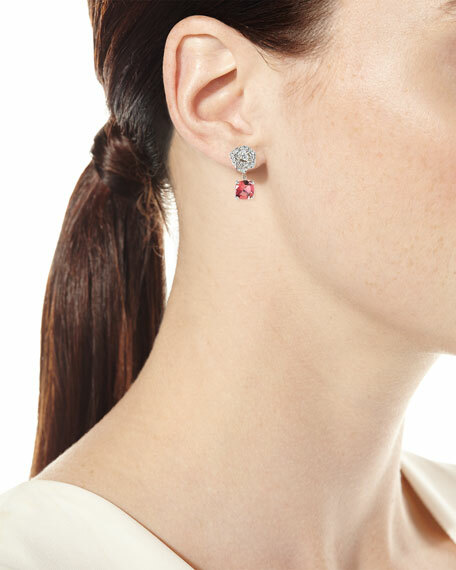 Inspired by the High Jewelry design, this attractive creation will seduce every assertive, stylish woman. 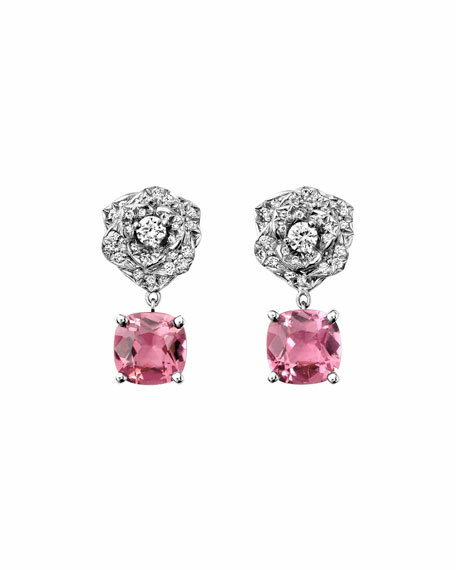 Faceted, cushion-cut pink tourmaline drop. 72 diamonds; 0.46 total carat weight. 2.80 total tourmaline carat weight.